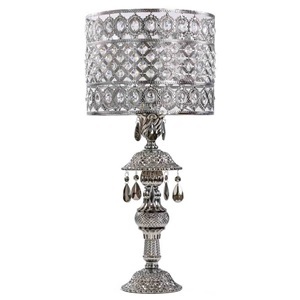 Dazzling in design and sophisticated in nature, this lamp is one of a kind. The metal shade features intricate detailing on the top and bottom parts of the shade while the middle section has a fluid harlequin design. 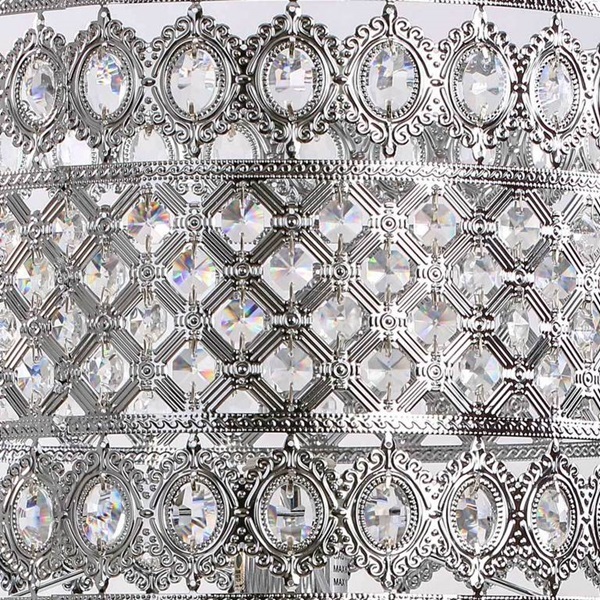 Over 150 hand strung crystals are placed throughout and compliment the metal finish perfectly. 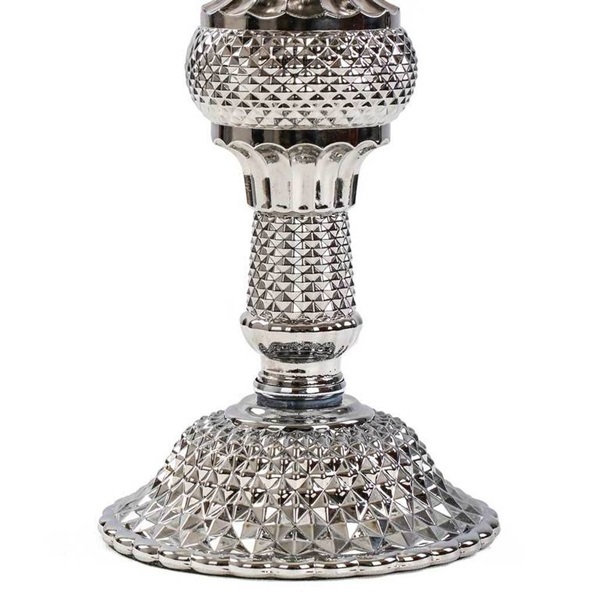 Adding to the uniqueness of this lamp is the base. 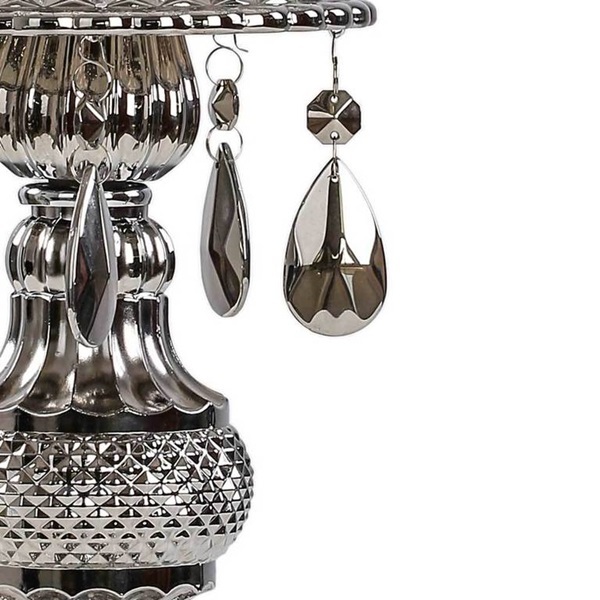 It is made from glass and features chrome colored jewels! With a 65" long cord, you can place this table lamp next to a comfy chair or couch, next to bed or in an entry way nook. No matter what room, this lamp will not disappoint.